Mr. Amol Shah graduated as Bachelor of science in engineering from University of Kent, Canterbury. He pursued his MBA from University of Southern California. He is also an alumnus of the prestigious Harvard Business School where he pursued an OPM (Owners, Proprietors & Managers) course. 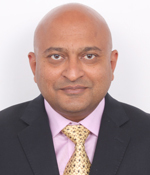 He has played a pivotal role in the management and growth of the MJ Group. With his focus on effective management strategies & his marketing prowess, He has driven MJ group towards achieving new heights across businesses. Mrs. Kajal Shah is the Director of Fine Fragrances & FAHE. Her Contribution to the MJ Group has been unmatched. She has worked on various teams and projects in the MJ group. 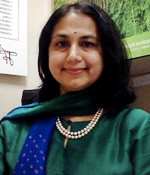 she has been the head of the Procurement Department for MJ Biopharm from 2005 – 2008. She spearheaded the ERP implementation team for the group during the same period. She has been and continues to be a strong presence in the core team of the MJ group. 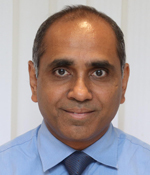 Mr. Dhaval Vashi is the director of the MJ Biopharm. He is a Chartered Accountant from the ICAI, India. With his exceptional expertise in the areas of financial management, budgeting, MIS, audit, taxation, legal and commercial. He has earned many commendations for his invaluable contributions to the organization. 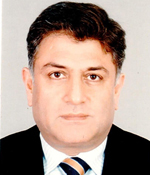 Dr. Shakeel Rather is a Doctor of Medicine & the Director of the Moscow office of the MJ Group. 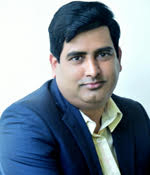 With over 25 years of extensive experience in business development, operations management, team management and product registration in pharmaceutical market, He has been highly successful in building relationships with upper level decision makers and business partners. He possesses communication and organisational skills with proven abilities in team management, customer relationship management and effective crisis management. 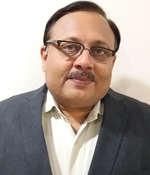 Mr. SureshKumar K. Chapla is a bachelor’s in science & Senior Manager Technical for the MJ Group, His prowess lies in the areas of quality control, industrial operation, sales and marketing. Due to his exemplary contribution to the industry, he has received commendations by EHS for Industrial safety. 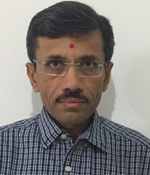 Mr. G. Krishna Prasad has a Master’s Degree in Science in the field of Biotechnology & a MBA in International business management. His Areas of expertise are very diverse, they include Biopharmaceutical operations, Business strategy and program management, Biopharma site management & Lean Management. His extra-ordinary contribution has earned him many accolades namely the No.1 performer award for 3 consecutive years at Biocon & the Bio contribute award at Biocon.